1 How to Check Banglalink 3 TK 100 MB 2 Days Offer eligibility? 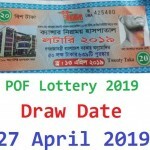 Banglalink 100 MB 3 TK Offer 2019! Hello Dear, welcome to Bangalink 100 MB Internet at only 3 TK Offer 2018. The Bangladeshi 3rd biggest telecommunication company brings a special internet offer for their selected customers, whose name is BL 100 MB 3 TK Offer. The 90% Banglalink connection users are eligible to enjoy Banglalink 3 TK 100 MB Offer or Banglalink 1 TK 100 MB Offer or Banglalink 1 TK 500 MB Offer. Just check what offer wait for you. Click on the above link and check offer details. In this content, we will talk only about the Baglalink 3 TK 100 MB Internet 2 Days Validity Offer 2019. Here the below all information about this offer. So, staying with us and follow the below content. How to Check Banglalink 3 TK 100 MB 2 Days Offer eligibility? 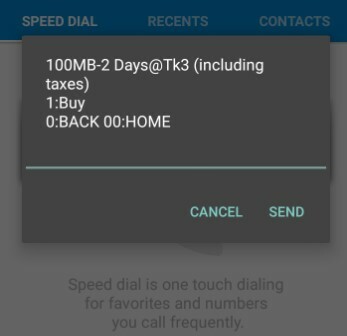 This is very easy to check the BL 3 Taka 100 MB offer. Just go to the Dial option and dial USSD code *5000*283#. If you see a feedback message same as the below picture, then you eligible to enjoy BL 100MB 3TK Offer 2019. To activate the BL 3 TK 100 MB Offer, dial USSD code *5000*283# and follow the next instructions. VAT + SD + SC included in 3 Taka. The Validity of Banglalink 100 MB 3 Tk Offer, 2 days. To check the remaining balance of BL 100 MB 2 Days 3 TK Offer, just dial *5000*500#. Customers use this internet 2G/3G/4G area networks and uses times 24 hours. Eligible customers can activate the BL 3 TK 100 MB Offer as many times as they want. Thanks for staying with us a long time and visiting Banglalink 100 MB 3 TK Offer 2019 content. If you have any question about the BL 3 TK 300 MB Offer? Just comment here. We reply as soon as possible.